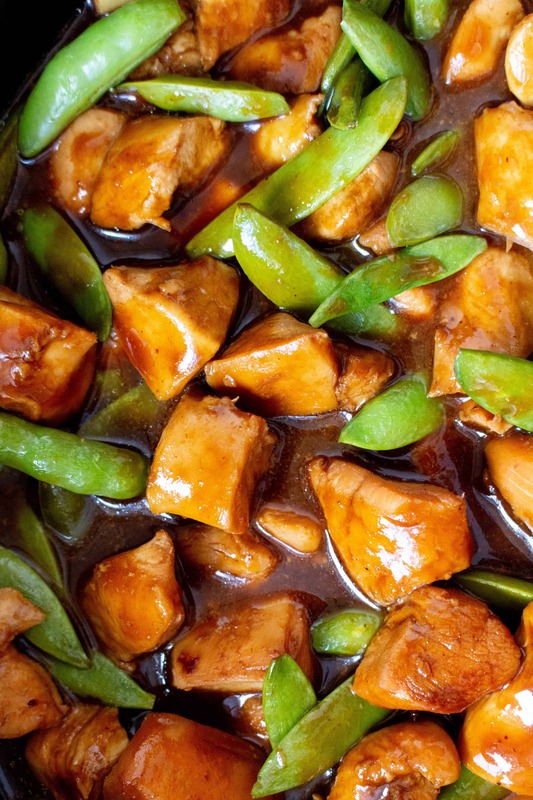 This Slow Cooker Hoisin Chicken is a cinch to throw together! 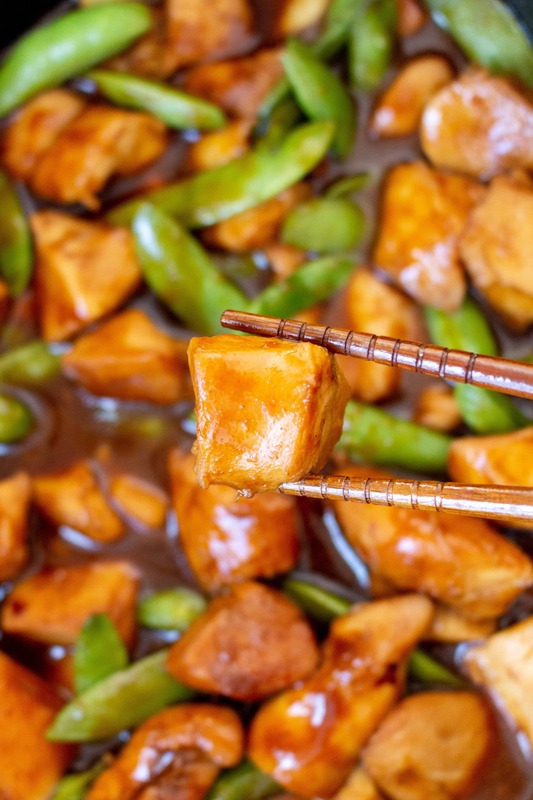 This rich, slightly sweet sauce coats the chicken perfectly and will always hit the spot. 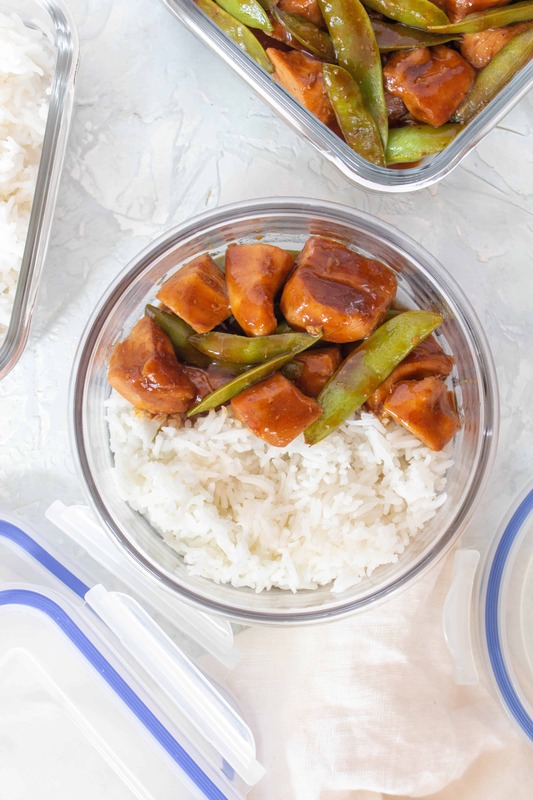 Alright friends, I got a couple messages requesting slow cooker recipes so here I am, sharing with you this delicious slow cooker hoisin chicken. I’m never one to say no to hoisin sauce, it has such a unique flavours that you’re going to want to reach for seconds. Plus, it is so easy to make because all this recipe requires is to put everything in the slow cooker and that’s it. 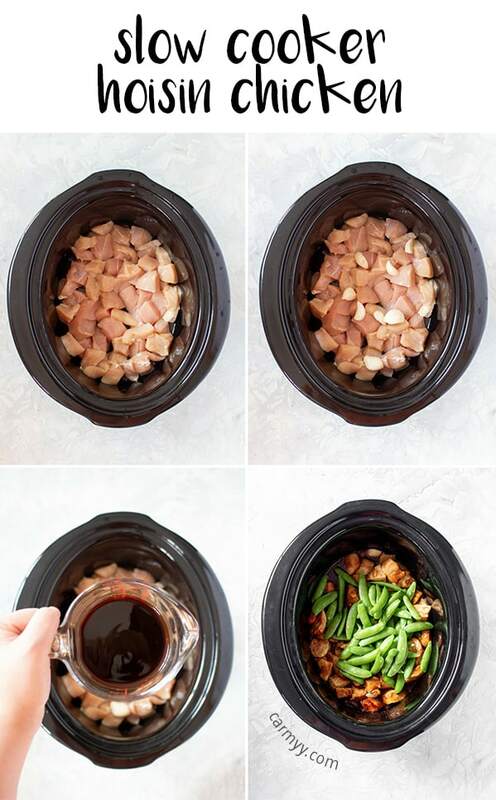 Okay, I lied a little, there’s the extra step of adding snap peas to the slow cooker near the end if you want some vegetables, and then adding cornstarch to the slow cooker to thicken the sauce but these steps aren’t complicated at all! In a slow cooker, place in diced chicken breasts and crushed garlic cloves. 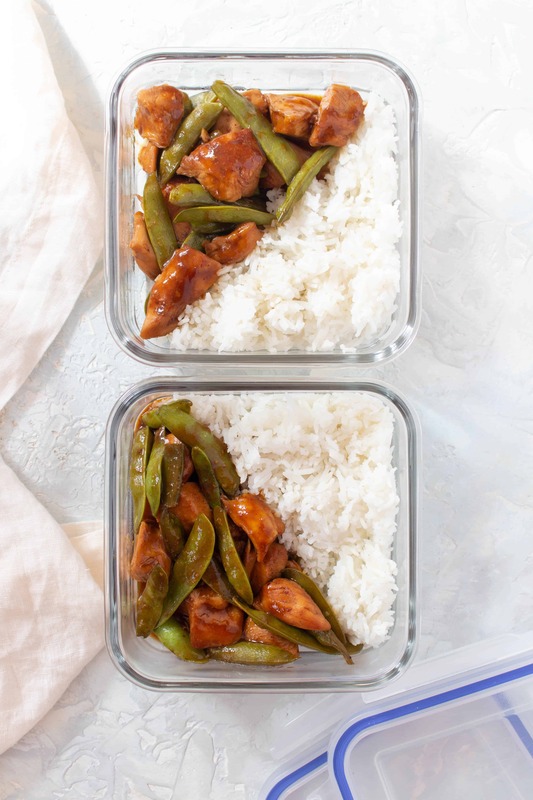 In a small measuring cup, mix together the hoisin sauce, sauce sauce, honey, and Sriracha sauce before pouring it on top of the chicken, fully covering the diced chicken. Set the slow cooker to high for 2 hours or low for 4 hours. 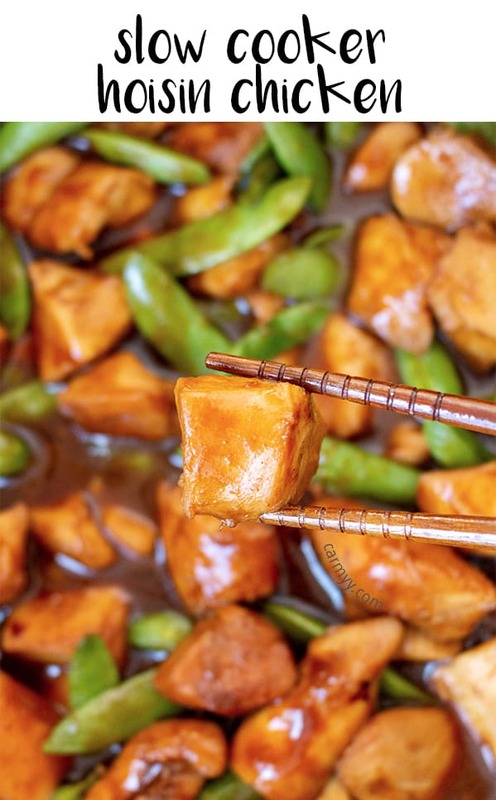 In the last 15 minutes, open the slow cooker and mix in the snap peas. When done, to thicken the sauce, you can use two methods. The first method, you scoop out 1/3 to 1/2 of the sauce into a small sauce pan, bring it to a boil on the stove top for 3-5 minutes before adding it back to the slow cooker to coat the chicken. 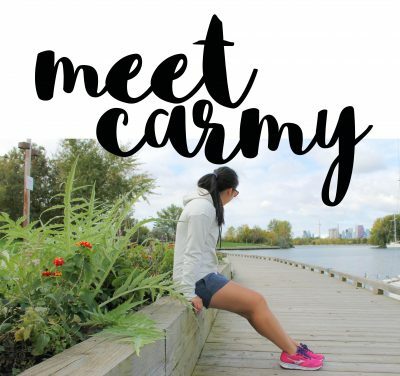 The second method is you can make a cornstarch slurry (3 tbsp sauce in a bowl with 1 tbsp cornstarch, mix) and add it to your slow cooker then let the slow cooker cook on high for 15 minutes with the lid off (this allows moisture to evaporate and allows the sauce to thicken). Try to avoid opening the slow cooker unless necessary. Every time you open the slow cooker, it loses the heat built up and you have to add 10-15 minutes onto the total cook time to make up for it. 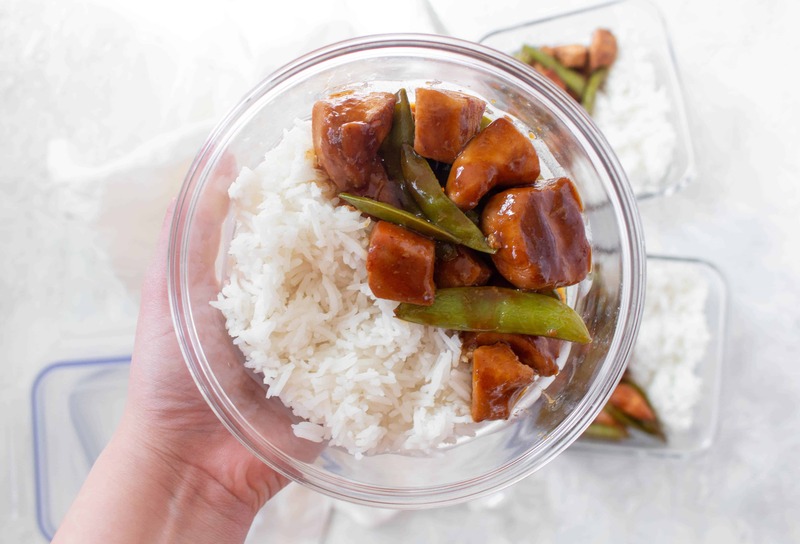 I stored my slow cooker hoisin chicken meal prep in these airtight containers. This is the slow cooker I used for my hoisin chicken. Scoop out 1/3 to 1/2 of the sauce into a small sauce pan, bring it to a boil on the stove top for 3-5 minutes before adding it back to the slow cooker to coat the chicken. 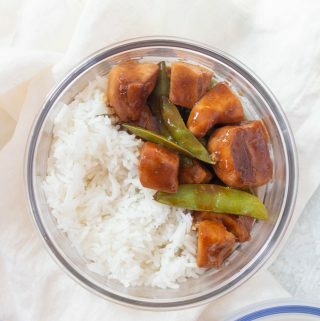 Make a cornstarch slurry (3 tbsp sauce in a bowl with 1 tbsp cornstarch, mix) and add it to your slow cooker then let the slow cooker cook on high for 15 minutes with the lid off (this allows moisture to evaporate and allows the sauce to thicken).